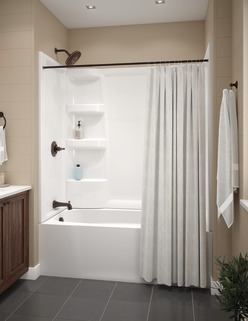 Can the Hycroft bathtub (B10513-6030X-WH) be installed as a stand alone tub; or must it be used only with matching shower surround? 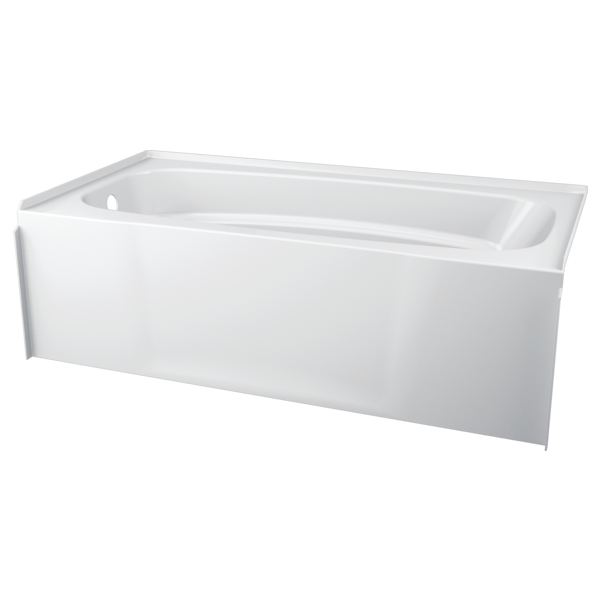 Is the white color Hycroft bathtub (B10513-6030X-WH) through and through; or, if scratched, will a base color show through? 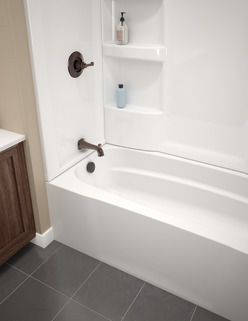 Is there a &quot;touch up&quot; kit available for nicks and/or scratches? 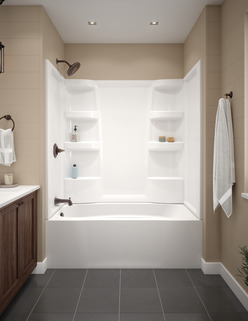 Can the Hycroft bathtub be combined with the Classic 400 surround? 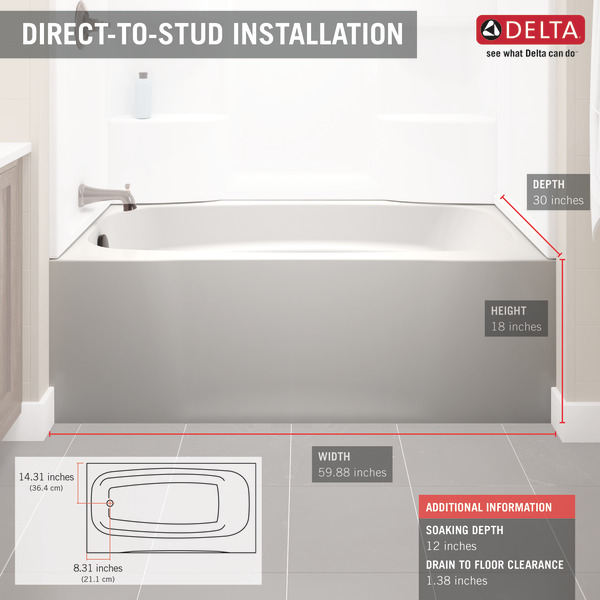 Can I install this tub with a tiled wall surround? Is it designed for the tile to cover the top edge of the tub to cover screw holes into the studs?